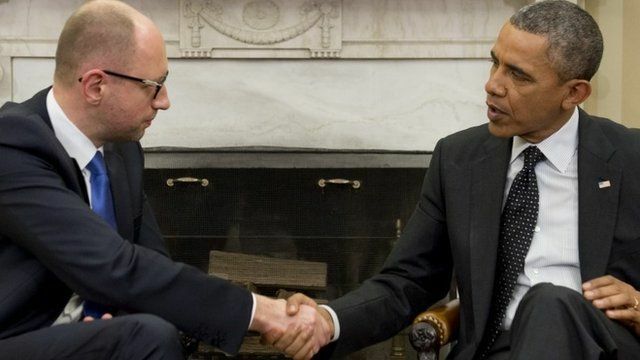 Obama: 'We will stand with Ukraine' Jump to media player Barack Obama holds talks with Ukraine's interim Prime Minister Arseniy Yatsenyuk in Washington, saying "we will stand with Ukraine". 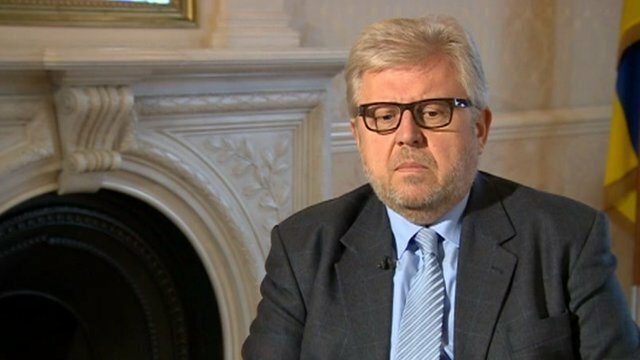 Ukraine 'will never accept segregation' Jump to media player Ukraine "will never accept segregation" from Crimea, says its UK ambassador Volodymyr Khandogiy. Can West help cash-strapped Ukraine? Jump to media player Michelle Fleury asks what financial aid western countries can provide to cash-strapped Ukraine. 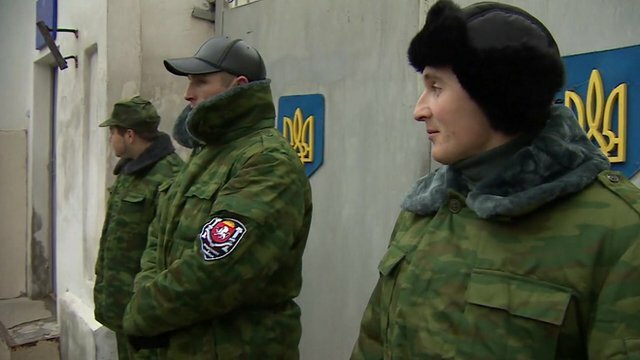 Pro-Russian forces consolidate position Jump to media player The ousted Ukrainian President, Viktor Yanukovych, criticises Western powers for supporting "bandits" as pro-Russian forces consolidate their grip on the Crimean peninsula. 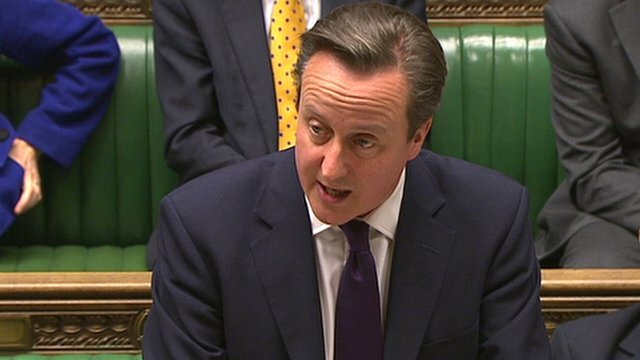 UK 'won't turn blind eye to Crimea' Jump to media player Prime Minister David Cameron has promised the UK "will not turn a blind eye" to Russia's incursion into Crimea. 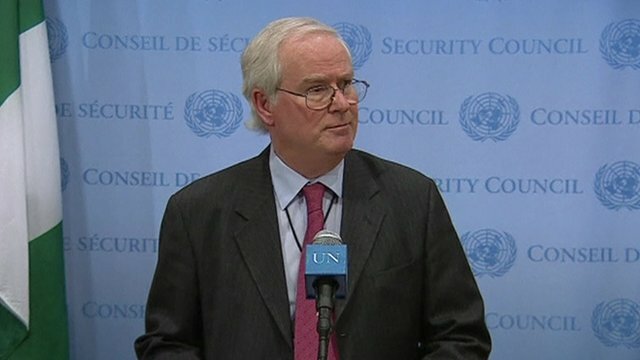 Fair referendum cannot take place Jump to media player Britain's ambassador to the UN, Mark Lyall Grant, said that "a fair referendum can not take place while Crimea is under the illegal control of Russian troops". 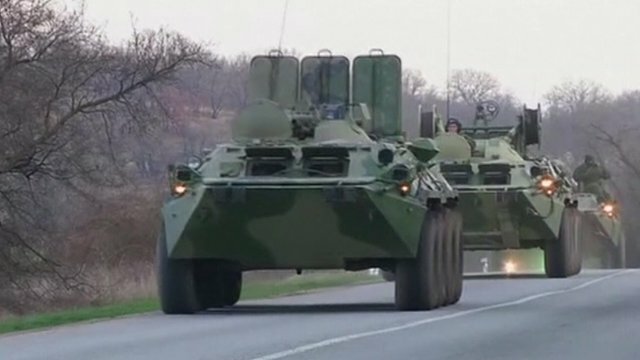 Tensions high in Crimean capital Jump to media player Tensions remain high in the Crimean capital as Russia cements its control in the region ahead of Sunday's referendum to join Russia. Western leaders have stepped up pressure on Russia to abandon efforts to annex Ukraine's Crimea region or face sanctions. President Obama said they "will be forced to apply costs" if Russia does not change course. 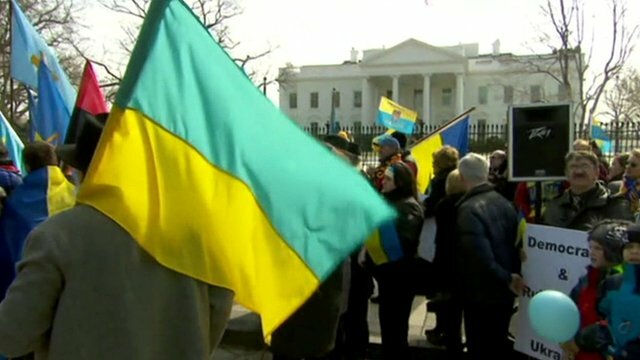 He was speaking after holding talks with Ukraine's interim Prime Minister Arseniy Yatsenyuk in Washington.